Liczba stron: 4829 Jest to ujednolicona liczba stron, która ułatwi Ci porównanie długości książek. Każda strona Legimi to 200 słów. Henry Fielding was born near Glastonbury in southern England, and grew up on his parents’ farm in Dorset. His origins were not opulent, but they were decidedly genteel: his second cousin would become the fourth Earl of Denbigh, his father was a colonel (and later a general) in the army, and his maternal grandfather was a judge of the Queen’s Bench. Henry's first-rate education at Eton College endowed him with a knowledge of classical literature that would influence his conception of the novel. In 1728, Fielding went to London and, on the advice of his cousin Lady Mary Wortley Montagu, embarked on a literary career, writing poems and plays that satirized artifice, sham, and political corruption. Later that year, he went on to the University of Leiden in the Netherlands, but his classical studies there ended when his father discontinued his allowance. By 1730, he was back in London managing theaters and writing plays, among them the still-famous Tom Thumb. During this time, he led a rakish existence that may inform the biography of the character Wilson in Joseph Andrews; the life of dissipation ended, however, when he eloped in November 1734 with Charlotte Cradock, the woman whose image would inspire the heroines of his later novels. A supporter of the Opposition party of the day, Fielding continued to satirize the government of de facto Prime Minister Robert Walpole. Walpole struck back, however, with the Theatrical Licensing Act of 1737, whereby no new plays could be produced until they were licensed by the Lord Chamberlain. The Act made theatrical satire virtually impossible and effectively ended Fielding’s career in the theater, leaving him with a wife, two children, and no income. Forced to seek another line of work, Fielding studied law in the Middle Temple and completed a six-year course of study in three years. He began practicing law in 1740, working hard but never prospering. Meanwhile, however, there occurred a watershed event both in Fielding’s life and in the history of the novel: the publication in 1740 of Samuel Richardson’s wildly popular and controversial Pamela, the story of a virtuous servant-girl’s resistance to the sexual overtures of her genteel master, who gradually recognizes and rewards her virtue by marrying her. The novel’s sentimentality and (allegedly) hypocritical moral code were spurs to Fielding’s wit, and the struggling barrister accordingly published Shamela, an anonymous parody, in 1741. Not content with this bawdy evisceration, Fielding in 1742 followed Shamela with Joseph Andrews, which begins as a gender-reversed Pamela parody but develops into something much more original, a fully realized novel replete with buoyant comedy and sustained social critique. In 1743, Fielding published his multi-volume Miscellanies, which included the novel Jonathan Wild, a bleak satire on “great men,” the Whig party, and the criminal law system, among other things. Fielding’s own existence at this time remained bleak, as his wife and daughter were dying, he himself was suffering from crippling gout, and his finances were grim. For the next two years, he produced no further writing, either in book form or in periodicals, devoting his time instead to his law practice and his efforts to recuperate his wife's health. These efforts were in vain, and Charlotte died in the resort town of Bath in 1744, leaving Fielding frantic with grief. He resumed his literary career in 1745, inspired by opposition to the Jacobite Rebellion, in which supporters of the Stuart line pressed the claim of Prince Charles Edward, the descendant of James II. Fielding’s reasons for opposing the Jacobites were twofold, religious as well as political. The English monarch was the Supreme Head of the Church of England, and Charles Edward was a Catholic; his accession would therefore have been awkward for this most statist of churches, and Fielding was a staunch supporter of the Anglican Establishment. Politically, Fielding was a Whig - that is, an advocate of the Hanoverian succession - and now that the detested Walpole had been succeeded by another Whig Prime Minister, Fielding could leave the Opposition and became a defender of the Establishment government. Accordingly, as the editor of a political journal from 1745 to 1746, he denounced the Jacobites and their Tory allies, and even after the defeat of the Jacobites, he continued as an apologist for the government. His reward was to receive appointments as Justice of the Peace for Westminster in 1748 and for the county of Middlesex in 1749. These positions installed him in a courthouse which also served as his residence, in Bow Street, London. In 1747, Fielding had married Charlotte’s former maid, Mary Daniel, who had been pregnant by him. This move had made him a target of ridicule, but Fielding would later describe his second wife as “a faithful friend, an amiable companion, and a tender nurse.” In 1749, he published Tom Jones, his greatest work, a picaresque novel about a foundling who comes into a fortune. Amelia, which followed in 1751, evinces a dark new sense of human folly. Fielding’s work in Bow Street had put him on intimate terms with social disorder, and the stern remedies for such disorder that he proposed in his capacity as a magistrate - measures that included the workhouse and the gallows - marked a turn from the ethics of broad and cheerful tolerance that imbue Joseph Andrews and Tom Jones. Fielding was equally stern with himself, however, and in spite of the fact that his work as Justice of the Peace brought him no salary, he stood out among other magistrates of the day in his refusal of all bribes. He also contributed greatly to the suppression of crime in London through his organization of the Bow-Street Runners, a squad of “thief-takers” that has been called London’s first professional police force. In addition to his social and political vocations, Fielding also supported the literary ambitions of his younger sister, Sarah Fielding. She published a novel in 1744 called The Adventures of David Simple, and followed with an additional text in 1747, Familiar Letters Between The Principal Characters in David Simple. Sarah later wrote a sequel to David Simple in 1753. 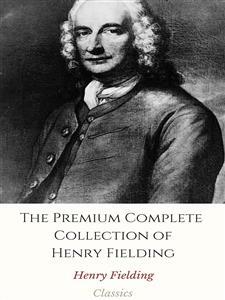 Henry Fielding wrote the prefaces to these texts. Sarah Fielding also wrote historical biography and children's literature, ultimately publishing ten works, albeit anonymously, as was common with women authors at that time. It is believed that Sarah was also influential in helping Fielding develop areas of his own writing: in particular, the development and portrayal of his major female characters. There is an expertise in the creation of the roundly moral Mrs. Miller and the forceful Mrs. Western, which likely reveals the influence of a female critic if not a female writer. Asthma, dropsy, and severe gout compelled Fielding to retire in 1754, and he went abroad to Portugal to convalesce. His Journal of a Voyage to Lisbon, published posthumously in 1755, chronicles the slowness of travel, the incompetence of doctors, the abuse of power, and Fielding’s own courage and cheerfulness in encountering these evils. He died in Lisbon in October of 1754.